Paws to Pacifiers - That's My Dog! Is your K9 friend ready to accept your new baby? Do you know how to prepare him/her for the exciting new changes ahead? If not, we invite you to attend this workshop to prepare Fido now to ease the transition to expanded family life. Congratulations on expanding your family! 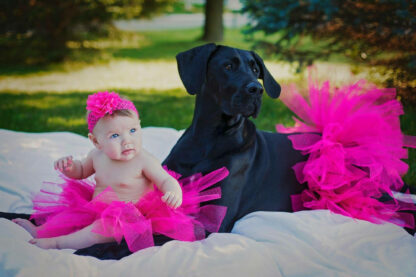 Is your K9 friend ready to accept the new baby? Do you know how to prepare him/her for the exciting new changes ahead? If not, we invite you to attend this workshop to prepare Fido now to ease the transition to expanded family life. Make sure Fido only chews his toys and not the baby’s! …… And much, much more! NOTE: Registration fee allows for one person PLUS a guest (commonly a spouse or significant other) to attend. This is an educational workshop, therefore we politely request no dogs attend. That’s My Dog springs into newly enhanced training programs! New Year = New Fun with your Dog! Are the Stars aligned for you and your dog?